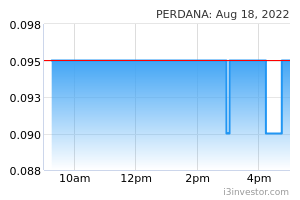 Perdana Petroleum Bhd was incorporated on August 16, 1988. The Company is an investment holding company and is also engaged in the provision of administrative and management services. The Company, through its subsidiaries, is engaged in providing marine support services to oil and gas industry and leasing business activities in Labuan. sirr75 I think today, i will be richer than yesterday. Hunter 88 Hunter 88 Strong support 0.420.before fly. PHconman rapid pengerang fire..will it be good for perdana,dayang,carimin? ronaldo123 Dayang today dropping like crazy, you asking when can rise? 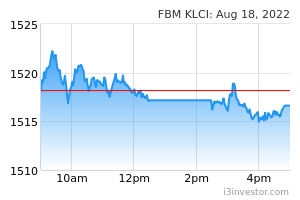 KML889 Guess this is the only last tranche of shares that wanted to sell. Anyone who wanted to sell would have Sold. Buckle up for next wave up. Fingers crossed. stockistlearner too many promoting this counter. bankers for sure will press hard to squeeze out the weak holders. it is not surprise it will break the 38c. Millionairegig tomorrow will go back 0.40 cents and above. No worry. Oil crude price may touch 80 usd per barrel in summer. HazByn it will continue to rise until friday..
Goldensnow today KLCI in the red. newbe malaysia has become the 1st country to welcome the economy crisis...syabas on your infamous achievement!!!!! But goreng group already started knm already. HazByn knm - kedekut nak mampus? Goldensnow Time to go in. Price attractive. Ziko Ro Oil steady also never use this idiot like stone !! Goldensnow KML889..can explain on the announcement? Positive sign? KML889 The estimated RRPT always exceeded the planned amt can only means business is hot as per the reason stated at the statement below. Goldensnow Thanks KML889! Positive sign Monday onwards! Goldensnow Whos selling so low again. Thanks!